The Personal Ordinariate of Our Lady of the Southern Cross was erected by Pope Benedict with the the Decree of Erection, signed by William Cardinal Levada, Prefect of the Congregation For the Doctrine of the Faith was signed on 15 June 2012. This was the third Personal Ordinariate to be erected for former Anglicans (after the United Kingdom and the United States of America / Canada). The Ordinary is the Reverend Monsignor Carl L Reid who will be installed in St Mary’s Cathedral, Sydney on August 27th 2019. The Personal Ordinariate currently has eighteen worship communities and communities in formation across Australia and Japan. 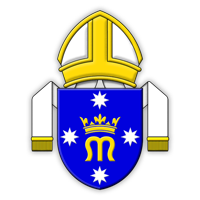 View www.itsyourcall.net.au to see information about vocations with the Ordinariate. 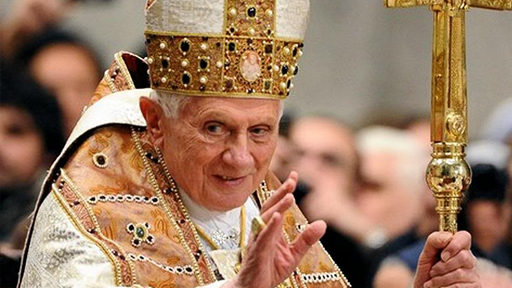 Replace with ‘The Personal Ordinariate of Our Lady of the Southern Cross was erected by Pope Benedict XVI with the Decree of Erection on the 15th June 2012. While erected primarily for former Anglicans, in May 2013, Pope Francis widened the criteria of eligibility for canonical membership to include the (diocesan) Catholic family members of an Ordinariate member; baptised Catholics who complete the Catholic sacraments of initiation through the Ordinariate; non-Catholic baptised Christians and non-baptised individuals who enter the Catholic Church through the Ordinariate. The Personal Ordinariates were initially established to provide a vehicle by which those of Anglican heritage could be received into full communion with the Catholic Church, as catholics, whilst maintaining certain disctinctive elements of their theological, spiritual and liturgical patrimony. The key to understanding the essential purpose of the Ordinariate is to be found in the preface to Anglicanorum coetibus. In those opening paragraphs, there are no fewer than nine references to the Vatican II document Lumen Gentium, the Dogmatic Constitution on the Church. In the Southern heavens is found a constellation called Crux. Every Australian who has gazed upon the night sky has seen the Southern Cross and knows it well. Pope John Paul II, in his address to the Aboriginal people of Australia in 1986, said... "It is a great joy for me to be here today in Alice Springs and to meet so many of you, the Aborigines and Torres Strait Islanders of Australia. I want to tell you right away how much the Church esteems and loves you, and how much she wishes to assist you in your spiritual and material needs.